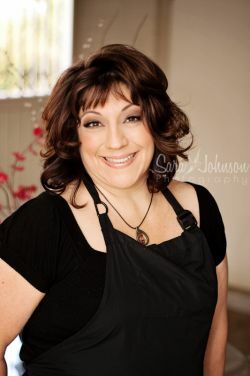 Meet me in the majestic space Sedona gifts you with for your extraordinary ethereal energy healing massage experience. I am your soft landing and safe place to UNRAVEL and UNWIND ... I promise and guarantee you will relax like you never have AND feel buoyant, nurtured and safe. 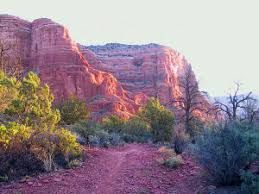 Welcome to Santi Sacred Sedona Healing Arts ~ A deeply healing ethereal experience blending the art and intensity of breath, body movement, elongating stretch, Life Coaching for emotional trauma release and Sweet Energy Medicine, the most natural healing experience ever, where all members of your family are welcome and will benefit greatly. Assisting clients from in vitro to 110 years of age with a healing body temple movement experience of a lifetime. You will decompress and relieve decades of physical and emotional pressure within your precious body temple, exhausting dis-ease which if not addressed and freed up, can manifest into dis-ease. Gift Certificates Especially For you! $120 for a Blissed In 90 minutes of Slumber! "Joya brings a divine light into your world * She orchestrates the healing that is already inside of you." My friends call me Joya which means deep joy. If you are looking for a Professional Healing Arts Practitioner who is in love with her career, is passionate and present with the sessions you have with her, then you have come to the right place. I am a licensed and skilled practitioner, qualified Life Coach, seasoned Reiki Master and an active Ordained University of Light Minister within our community celebrating over 40,000 full body energy medicine sessions with over 30 years of service. I am highly motivated and experienced in a variety of potently effective modalities, styles, techniques, and methods most of which I have created over the years through 'masterpiecing my own dance' with clients just like you. Having been gifted with the nurturing touch of an Angel and the powerful skill of a Gladiator, your therapies leave you feeling loved unconditionally, feeling like you have lost years of built-up pressure while feeling 2 inches taller, pounds lighter and looking years younger .... guaranteed! I can arrive at your home, your place of business, your resort suite, or under your favorite Cottonwood tree ready to give you a healing experience of a lifetime! I have a comfortable table and I love to travel; locally and globally. We can not escape the influence that our lives have on the lives of others. This is why each session is like the very first one I have ever shared with you. Whether it be the first one or the hundredth, your experience will be special. Yours and yours alone! 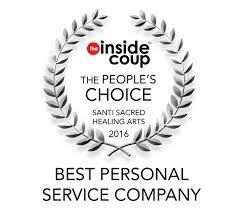 I add the professional in the title Professional Healing Arts Practitioner. I am still on fire for my passion, and that passion is facilitating a tremendous Ethereal Energy Motion Therapy experience with you each time you come in. After you read my protocol and resonate with my character, feel free to request an appointment by clicking on the "Request a Session" page. You are also welcome to phone me by utilizing my 'contact numbers'. I will answer any questions you may have. Please leave a message as I look forward to hearing from you. "One is never too young nor old, to experience "the lightness of being" aka "the empty fullness" within their bodies .... the feeling of not feeling your aches, fears, indecisions and worries .... Literally replacing those thoughts with sincere gratitude, deep joy, understanding, and personal validation."